Hoping to identify a root cause of multiple transfer case failures. 2012 Cayenne S purchased CPO with 43K. Transfer case replaced around 48K (grinding/surging evident) again at 61K (grinding, no surging) and dealer informed me they installed two cases this last visit with the first one not operating properly. Returning to dealer today, 62K, grinding/clunking particularly evident on left hand turns but not exclusive and while frequent it is not a constant occurrence. Hard to imagine randomly getting multiple "bad" transfer cases and suspect some other gremlin is the root cause. Has anyone experienced a similar issue or have a suggested direction (differential?) I can pass on to the Porsche techs at Annapolis Porsche? Rolling out of warranty in two weeks so a bit concerning. There is a warranty (2 years?) on the replacement parts that were installed under warranty.. so that shouldn't be a huge concern. Is there a significant difference in wear on any of your tires (like one new one on one axle and the other 3 fairly well worn?) That sort of difference makes differentials (and the transfer case is more or less a rear-to-front differential) work much harder then they should, sometimes resulting in them giving up the ghost. A friend kept having the transfer case on his GMC Denalli go south on him - until I asked about tires. He'd had one tire replaced after a flat - the other 3 were fairly well worn. After his 3rd transfer case he asked me, I suggested new tires all the way around. He did - and the transfer case failures ended. Just an FYI, parts installed under warranty are only covered till the end of warranty not 2 years from install. Checking the tire circumference is a good idea. Also check the wheel speed sensors, the is a bulletin for replacing all sensors due to water intrusion. Don and Pugs2, thank you for the replies. Interesting note on the tires. Selling dealer replaced (supposedly) all 4 prior to my possession, however when I installed the winter tires I noted one of the tires removed had worn more aggressively than the others and I chalked it up to the Dealer replacing only 3 of 4. The car is still with the local dealer and I'll ask they check the tire wear. Regarding the speed sensor, if I've a bad one, is the worry the management system is engaging one of the breaks, causing drag on the drivetrain? Symptoms: low RPM and hard pull hesitation, lapse in power, "thumping," etc. as described by others. Initially the problem only occurred sporadically but became an every drive occurrence and then, near the end, a cause for significant alarm while operating. Just before the fix was installed, I could not rely on the car to accelerate when needed. PROBLEM: Bad Transfer Case, most likely due to over-heating due to an initial failed design. Explanation: With the transfer case out, the car fights itself between all wheel drive, various distributions of power to the wheels, etc. causing the violent, yet not catastrophic, symptoms listed above. Fix: Replace the Transfer Case with a new unit that has been adapted with ventilation. Background: The gentlemen at Perfection Plus Auto (the service department of the now-closed Porsche dealership in Little Rock) diagnosed the issue within 45 seconds of driving my Cayenne--without even having to leave the parking lot. They reported to me that, regrettably, they have seen problems on Cayennes and Macans — across all model years (including 2017). Apparently, this is a very, very common issue with the SUV. Upon reflection, it seems extremely odd—and troubling given the Diesel issues of the last few years—that Porsche has neglected to move forward with mandatory re-call on this part. The technicians I spoke with at two different garages have a constant stream of Cayennes and Macans entering for the fix. The problem is due to a defective part, not user error nor regular wear and tear. What is further troubling is that there is no way for the service department to detect this problem with their computers, which is normal protocol during servicing. Rather than driving the car to diagnose an issue, the service department relies on error messages from the onboard computer and/or an alarm code that is read by their computer system hooked to the vehicle. In other words, there is no way to identify the problem unless the owner knows about the transfer case issue or has the time to take the car and demand that the service department drive the car with the owner. Fortunately, in my area, I have access to an expert who has a passion for the brand and is a heck of guy — he was able to volunteer his time, explain the issue to me in unambiguous terms, put me on the right track for the repair under warranty. However, although the issue expressed itself intermittently over the past 2 years, none of the actual Porsche dealerships where my car was service diagnosed or even were alerted to the Transfer Case failure. Due to the volume of Transfer Case failures across multiple model years (I have read of issues as far back as 2008) and the troubling issue of loss of power, Porsche could be looking at a major liability if there is a severe accident or fatality due to this known—yet unaddressed—issue (I am thinking of the Audi break scare of the 80s, which scarred that brand for a decade). I certainly would never wish harm to anyone and certainly not to Porsche—a brand I adore, admire and enjoy—however, I perceive a major oversight in quality control. Given this, I have to wonder — what other issues might express themselves with the car? Now saying all of THAT….I have no intention of de-acquisitioning my Cayenne. I love the car. I love the engine. I love the sound, feel, look of it (its the closest one can come to falling in love with an inanimate object) and plan to keep it until it falls apart or I am put in the ground (that or I upgrade to a GTS or Turbo S). However, I do hope that Porsche becomes more aggressive in resolving this issue with other customers. For me, it was a 1-day investment covered by the warranty. However, had I waited another 4 months, I would have been out several thousands dollars for the replacement part and labor. I am attaching my service ticket with associated replacement parts in the hope that it will prove useful for other owners who are experiencing similar concerns. I also have a 2012 S. I purchased used with 64k Miles in sept 2016. I made sure before purchasing that the transfer case had been replaced under warranty with the original owner. Turns out it was replaced in April 2016 with appro 62k miles. So I assumed I was in the clear right? WRONG! Now at 84k miles and less than 2 years the transfer case has gone out again. My dealer was able to get Porsche to “goodwill” the part but I still need to pay $900 labor. They said this fix will include a new vent for moisture that they believe could be contributing to the problem. Can’t say that I have a warm fuzzy that it won’t fail again. As much as I like this SUV I’m not sure I can afford to take the chance again. With so many failures you would think there would be a better solution. Oh, by the way my symptom happens when shifting from 2nd to 3rd gear. There is a shudder about 4-5 times until it finally shifts into 4th. Doesn’t happen when it’s cold though. Porsche did say that the new TC will have a 2 year parts and labor warranty. As someone else mentioned since the car was under a CPO warranty when the first Tc went out, it wasn’t under the 2 year parts and labor. Anyway just wanted to provide my info in hopes it may help others. I have a 2012 Cayenne purchased with 52000 miles. At 70000 I'm now experiencing the clunking/shudder from the transfer case issue as it shifts through the lower gears. What is the component part that is failing within the transfer case? Is anyone re-building these transfer cases? 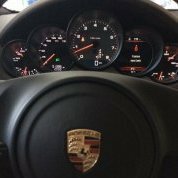 Spoke with Porsche dealership; no assistance in fixing the problem except install replacement unit with improved cooling fin design ($4500) or cooling tube if existing unit not damaged ($1000). Anyone had the cooling tube fix? Unit runs fine when cold but has issues after 10 minutes of driving. Found re-manufactured unit on Ebay for $2500 but contained warning for special tools to reset adaptations when installing. Have a 2011 Cayenne S with 148,000 mi. Transfer case has been replaced twice in the past 50,000 miles. Has there not been a recall for this component or is this going to be a chronic problem? A recall is for an issue with the potential to cause injury or death to the driver, passengers or surrounding people. Manufacturers look at recalls as a black eye. If they get serious ones like the Chevy ignition switch, you know there will be people lining up with personal injury attorneys waiting for their chance to sue Porsche for real, or imagined injuries. A recall is a last resource for a manufacturer. Some manufacturers - when faced with a potential recall will setup a "service campaign" where they fix the problem when a vehicle arrives in their shop. That's generally done at their expense (usually billing back part or all of the cost to the OE manufacturer who supplied them with the failing component, if they didn't build it themselves.) Toyota/Lexus love to do this - it's why my wife's Lexus gets dealer oil changes - there is almost always some issue that is addressed for free while the car is there getting the oil changed. NHTSA is where "recalls" in the USA come from. They have a website. There are forms on the website for reporting issues that have caused injury/death, or you feel have the potential to cause injury or death. If enough people make identical complaints about an issue - the issue will usually percolate up to the actual human employees of NHTSA who are in charge of investigating the reports. An example of this process working would be the "Camshaft-Controller-Recall" (Porsche's name for it.. I'd call it a Variocam recall..) In threads discussing this problem on several forums, instructions were given on how the reporting process works - and how to most effectively report an issue (several things have to be identical in order to build up the "mass" of reports that will trigger an investigation.) People did report the issue to NHTSA (not just complain on the forum) - and there were some very credible reports of close calls for serious injury since the failure could result in a vehicle with no brakes, power steering barreling down a freeway. The mass of reports was enough to catch the eye of a defect investigator, who then reached out to a few people asking for additional information. The information supplied to them was copies of recalls that Porsche had issued in other countries for the identical problem. At that point Porsche was notified of the investigation, and apparently felt it might be best to be pro-active in it - and they voluntarily issued a recall. Whew... so that's what has to be done if you expect a recall to happen. Some manufacturers avoid recalls by offering buyers an extended warranty on the part in question (BMW loves this - they've given out 100k engine guarantees on multiple engines any number of times - to avoid a recall.) The highest number I've seen on these extended warranties is typically 100k miles. BMW-Motorad (motorcycle side) has an extended warranty in place for 12 years, unlimited miles for a fuel gauge sender that regularly fails - and people run out of fuel on their motorcycle in risky conditions. That was done in response to a similar campaign that was coordinated on a BMW motorcycle club forum I'm a moderator/member of. NHTSA expressed interest in it (other manufacturers, both bike and car - have had recalls for similar failures.) BMW extended the warranty. So far - I've had about 10-11 of the fuel senders fail and replaced at no cost to me. I'd be much happier if they'd simply solve the problem though. So one other thing - a recall is only really a solution IF the manufacturer has devised a way to solve the problem. In the case of the transfer case - it's not clear that they have. This went on a bit longer than I thought it might when I started it. If it gives anyone ideas - I'd be happy to discuss the NHTSA process off-line with you. DISCLAIMER: I have nothing to do with NHTSA. The above ramblings may well be the spurious thoughts of a madman - or not. Use at your own risk. YMMV. LSMFT. I did stay in a Holiday Inn Express this past week though. I took my 2012 in to Porsche in Tyson's Corner Virginia and was surprised to find that the modification to the transfer case had already been done. A transfer case service was completed for $230.00 and no problems since. What did they do for $230 as far as "service"? Just curious. The list price for the Porsche fluid is around $50 or so (widely available for $40-45), and it takes about 10 minutes tops to change it. They may have replaced the fill and drain plugs - which would add about $30 in parts to the bill. Seems the charge is excessive - but I guess getting out of a Porsche service department for less than $300 has to be considered a bargain..
called NHTSA today, they said there was only 9 (now 10) complaints on file for these issues. Hard to believe after reading multiple forums where people are addressing the same problem. Its nice to see others sharing information, but it would be better to report it, because Porsche wont do anything without it. The best way to make this happen - is what I did with the Variocam bolts. I went through the NHTSA website data entry process and created a description of exactly the steps needed to enter a complaint in a uniform manner. That was then posted on a number of Cayenne websites. NHTSA uses data crunching to look for problem areas. If people report a particular problem but list it in different categories on the NHTSA database - the mass of complaints won't pop to the top - it's diffused. If I had one that failed - I'd enter the data and do some screen captures - easy enough to make up a DIY on how to report the problem... the other thing that may diffuse the complaints is that the failures happen over ALL years of the 958 Cayennes, and all the gas engined ones. There is quite a bit more transfer case info on RennList..
https://rennlist.com/forums/cayenne-958-2011-2018/986001-transfer-case.html - longish thread, with some DIY info in it and discussions on rebuilding DIY. https://rennlist.com/forums/cayenne-958-2011-2018/1101700-transfer-case-stats-survey-please-particpate.html - which is a link to a survey I created to try to gather some info on when/how the failures occurred, and some idea of the actual percentage of failures being observed. Right now from 70 entries in the survey, over 55% have experienced failures, but that isn't a hard/fast number since people who have problems have more of an interest in talking about it.. Porsche so far has paid for close to 50% of the replacements, which to me is impressive, I think they're trying to forestall another Variocam like recall. Please do take the time to fill out the survey if you haven't already. When it gets to 100 entries I'll close it and make the data publically available. I need to change my iginition coils and spark plugs on my Cayenne S E2 92A (2011 model). Can someone assist on parts I could purchsae on ebay (and brand) and the service manual for this repair. Any help would be appreciated. I have a 2012 Cayenne S which has done about 56k miles. When I turn the steering and press the accelerator, the rear left tyre judders. My brother observed that the wheel looks like it was 'locked'. My mechanic disconnected the transfer case motor, and after he did that, everything was back to normal (there was a 4x4 error as the transfer case motor was disconnected). According to him, since the transfer case motor is disconnected, the transfer case was not being used and he came to the conclusion that there is a problem with the transfer case. Another gearbox specialist I consulted with said that the problem is due to the transfer case motor. According to him, even though the motor is disconnected, the transfer case is still being used. He also gave me some other reasons which I forgot. I am not sure who to believe. The problem became worse after doing the last 2! both the transfer case & axle fluid were dirty but nothing serious. Can anyone help me identify a fluid leak? While changing oil on my '04 Cayenne S, I noticed a small leak coming from the drain (weep) hole of what I would normally call the bell housing which I assume is part of the transmission housing. There are 3 small holes in a row which appear to be drain holes. The fluid has the consistency of 90 weight oil. It is amber in color. It's not motor oil or transmission fluid (which I think is colored Red). Thanks! We have a heavy snow here in Poland so I wanted to use reduction to get home safely. Unfortunately a massage showed up on the screen which says that "4 wheel drive fault......"
I had 2 trials where I managed to get it back to normal 4 wheel drive as I thought that maybe snow did some damage or water etc. nothing. I am looking at many topics here on the forum and it looks like it may be the servomotor? The transfer case was not used very often. Battery was changed 7 months ago. No chance to connect it to durametric as I am over 100 km from Warsaw Porsche Stealership. Need Your help Guys as I need this car to run smooth again. Oil in the transmission was changed 3 weeks ago.